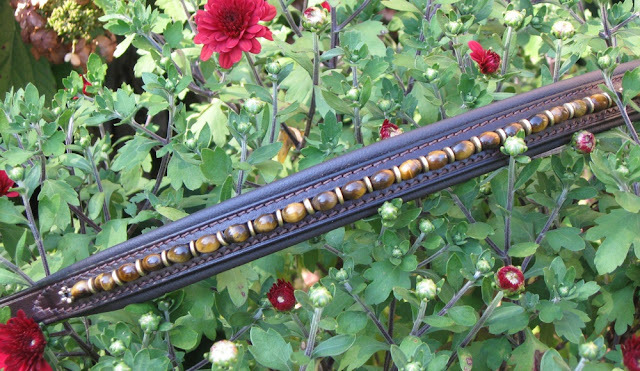 Behind the Bit: BLING BROWBAND GIVEAWAY! Say what blog you heard about the contest from, and why you'd like a browband. If you or your readers don't have a Facebook account you can leave a comment with the needed info in my blog. If you promote the blog, Kimberly will give you $30 off a custom browband plus free shipping( so would be $65 unless you want Swarovski or sterling silver). Need more motivation? Take a look at Kimberlys's sample browbands. The contest ends on October 25th. Winner is announced shortly thereafter. I don't have a facebook account so I'll enter via your blog. I heard about it hear, and I would love a browband for my poor plain brown horse. I think she needs a little bling.